To a sales leader, hearing the simple word “forecast” can cause immediate panic, stress, and fear. Each week, month, quarter, and year, sales leaders are asked to predict what their sales team will produce in a given period of time, based on facts such as the marketing funnel, current pipeline and sales activity. And once that number is committed, there’s no going back — unless of course you want to raise the stakes and commit a larger number. The sales forecast is critical for executives, board members, and investors as they use this number to indicate the direction the business is going, how and when to hire, and the general health of the company. For the sales leader, it’s a constant reminder of how much more the sales team needs to produce and that they need the team to execute with precision. After all, achievement of that forecast is what drives a huge proportion of their compensation, their ability to provide for their family, and propel future career growth. Salespeople generally have a sense of their current month forecast, and maybe even next month too. They know the prospects they’re talking to, who seems serious or not, and approximately when a deal is expected to close. But much further out than a couple of months? It’s a total guess. But as a sales leader, you’re being pushed by the executive team and board for a longer term forecast. Sound familiar? Enter the Activity-Based Forecast. For a sales leader adopting an activity-based sales forecast, you look at the activities and behaviors being executed by your salespeople as an indicator of what your future sales will be. To make this work, you’ll need to understand, or at least develop a strong educated guess, of the historical conversion rates from each of your sales stages to the next across your entire sales process. For instance, you’ll look at metrics such as how many phone calls it usually takes to get one demo scheduled, and how many demo’s it takes to create a qualified sales opportunity. Let’s assume you have a 25% conversion rate within each step of the sales process: If your monthly sales target for next quarter is $5 million, and your average deal size is $50,000, then you know that you need 100 wins/month. To get 100 wins, you’ll need to generate 400 qualified sales opportunities. And to generate 400 qualified sales opportunities, you’ll need to do 1,200 demos. So now let’s look at your team’s sales activity metrics. If you have a 90-day sales cycle from demo to close, then if you can secure 320 demos this month (March), then your activity based forecast 3-months from now (June) is $1 million. Or to make it really simple, each demo is worth $4,200 ($5 million divided by 1,200 demos - and then rounded up to keep the math simple). If you secure 1,000 demos this month (March), then your 3-month forecast (June) is $4.2 million → 84% of target, which is not where you want to be and probably a tough ding on your compensation. If you secure 1,500 demos this month (March), then your 3-month forecast (June) is $6.3 million → 126% of target, which makes you a sales leadership guru and likely gets some bonus accelerators kicking in. If you want to take it one step further, let’s assume you have an SDR team who sets up those qualified demos for the sales team. With this, you can this forecast even further out and break it all the way down to prospecting activity (say calls and emails). Assuming another 30-day lag from a prospecting call to setting up a qualified demo, and now you can use your current month call metrics to help indicate your 4-month out forecast. There are many different ways to forecast your business, and I would encourage you to use several of them. 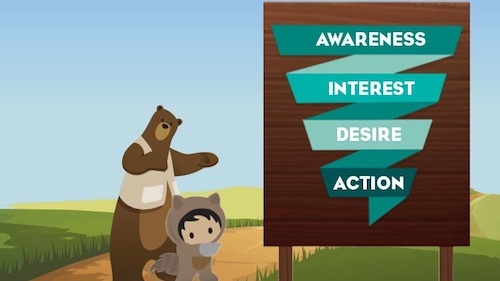 The benefit to this new view is that it directly ties to the activity and behavior that you as a sales leader can control and influence in real-time, and you can take those activity goals and personalize them for each salesperson. Then your salespeople know exactly what’s expected of them, and completely aligning them with your goals. And when you start getting this right, makes it much easier for you to go justify new hiring investments. Forecasting is a challenge for all sales leaders - maybe one of the biggest challenges because of the unknown it represents. But for executives, board members, and investors, this committed number is incredibly important as it helps them to see where the business is headed - directionally, at least. If it looks like your forecast 4-months from now is going to be high, then maybe you need to start recruiting staff to help support the demand. This affects more than just sales: HR needs to recruit staff across sales and support, customer success needs to prepare for an influx of new accounts, finance needs to be ready to invoice, and so on. Conversely, if it looks like your forecast is going to be light, your company may want to hold off on a few of those hires or process changes you were considering until sales get back on track. Your company can start using activity-based forecasting immediately by using the above metrics and running your own math. If you’re just starting out with forecasting, then start collecting the metrics for at least 6 months first to ensure the numbers are solid enough to use as a benchmark. Once your company begins using activity-based forecasting in your modeling, make sure the math and metrics are shared with the executive team and the board, so all are in the know on the numbers and formulas. The activity-based forecasting model will help your teams keep a close eye on top of the funnel, and can create further alignment with your SDR team as your prospecting teams are working towards the same mission: new prospects and demos. 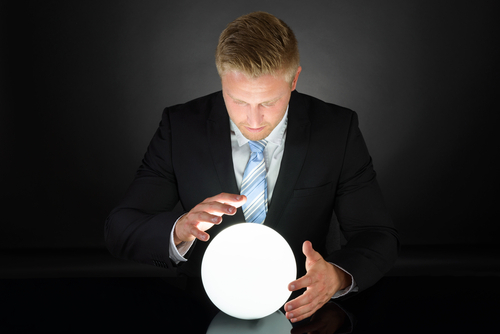 It’s a win-win for sales leaders and team members, executives, board members and investors when your forecast can accurately predict your sales numbers several months out.